3. Vocabulary Boost: When you were in school, did your teacher ask you to look up definitions of new words? Why not do it as an adult?! As you’re reading content from various mediums, jot down unfamiliar words. Learn the definitions and try to incorporate them in your own writing when fitting. You will learn something new in the process, and slowly build up your vocabulary. Don’t be afraid of new words; they could end up becoming your favorite! If you need a good starting point, refer to our past blog 100 Words Every Expert Author Should Know. Great article, and a good reminder of one of the basics of authorship. Can I suggest three classes of reading that are essential for writing authoritatively in your own sphere? 1) GOOD WRITING of all kinds. Not just the Classics, but also essays and theses, popular science and magazine articles. But all should be of high literary standard in their genre and for their target readership. 2) The VERY BEST WRITING in your own niche. Read, take notes and absorb more about your subject – try to learn something new each day. Let this kind of reading be the most authoritative books, articles (especially in encyclopedias, where Wikipedia – NOT authoritative – can give live links), theses and research reports. They may not have good style, but they can give you facts and opinions (even those you disagree with) and plentiful quotations. My writing has been poor for many years, so I began reading more scriptures from the Bible. Not only did this help me to improve, but I also started a Bible Study Group name The Seeds of Abraham Spiritual Group; not knowing that this was the true walk for Christ, the holy spirit lead me the entire way and gave me passages to encourage others to read and study. My writing has now improved very much but I still need more work. You can find our group on Facebook! That’s useful, William. Many people actually begin to learn English using a bible. But you must remember to use one in modern English – there are at least 20 different versions, and any of them will suit. Using one of the versions written about 400 years ago will be unhelpful, because the language has changed so much in that time. The same advice goes for reading Shakspere, Bunyan and other Renaissance writers, and to a smaller extent, writers from the 18th century. Since then, English has been more stable. Thank you for you tips. I have studied English for a long time, however, my writing is still a weak point. Nice methods to follow. 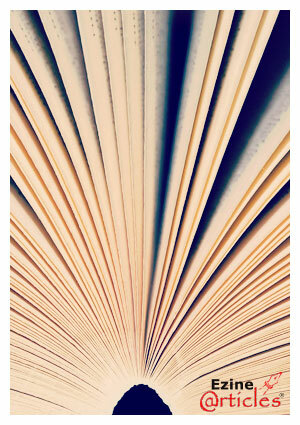 Reading is a good think, which inturn improve your imagination power also. For writing you need to know a lot and also you have to think a lot about presenting it in good way. Nowadays, Social media like FB, twitter, Whatspp, etc.provide a treasure of insights and ideas for life. Why not avail them for reading and reference as well. Your article is very educative and inspiring. It is wonderful to read someone else’s writing, especially when they express thoughts you have been having yourself! It’s like finding another kindred spirit in a world chock full of (nuts!) people who do not understand that a screensaver or desktop can inspire you just as much as a slogan in a commercial or a walk down the street. To truly enter the mind of a writer is a miraculous thing. I think to become better writers, you are correct, you must read good writers. This is important not only for non-fiction, but for fiction as well. Possibly, it is even more important for fiction. I once read a book serious with an engaging story line and yet all the characters from the government officials down to foot soldiers used the same words, had the same vocabulary, and almost the same personalities. The same phrases kept repeating throughout, whether in dialog or narrative. I kept correcting the text in my head as I read, which was annoying and distracting. I made it a goal to be more critical of my own writing for this reason. In real life there are no two people who speak in exactly the same way or have the exact same opinions or perspective. Diversity in reading is as helpful as diversity in social settings. It makes us broader, multi-faceted, and more open minded. :) Wonderful article! Thanks! From the time I was in grammar school to graduation, nine or ten years, I read two libraries. The first was the children’s section, and then I had my mother get a card and read those. Then we moved, and there was a huge Carnegie library. I decided to read all the books in the nonfiction section, which included old classics like Adam Bede. I read how to score all the psychological tests – a reference book from a psychiatrist written in the tiny wartime print. I took the rarest color, and read Dewey Decimal zero to 999, then the next color, as the books circulated. Two nonfiction books of 300 pages or so a day in summer, one in school season. The ghetto school did not even have teachers who spoke English well. I educated myself there. To be a writer, find your ‘voice.’ You will. It takes time. I wrote the way I speak, and punctuate according to how the sentence would be spoken. My style is vernacular and the material is succinct, precise and scholarly. It flows. I often think my blog would be very good for people whose native language isn’t English. You are welcome to see whether you can adopt some part of it. It’s at TarotVerbatim.com, 1500 or more words a day. Thanks for the tips. It is just simple. If you don’t have any thing to write, you will not have time read, otherwise, you must have time to read, in order to derive more information. Even, teachers at every level of educational settings, read enough before going into the lectures to deliver, if not, they get dried up at the very moment of start. Please,kindly assist me with your past blog 100 words every Expert Author should know. I am sure, I missed it. I read your post and i appreciate your efforts. The information that you share in the above article is very nice and useful. I love this article. Grt ideas, and i’m happy you say to read your own writing out loud as I have discovered many dysfunctional sentences and disjointed paragraphs from re-reading my soon to be released book. There are ideas in every human being’s head, some are good ones, and some other bad ones.So too, are some things we read. Some are good and some are equally bad. Now it is up you to merge the ones you read with the ones you have, to come out with the final result of what you want to have or give. But, it is always better for one to come out or to give the best that will benefit humanity. Court reporters, some of them, use a form of Dragon Speak to read their transcripts to them in order to find errors. The 5 ways reading can encourage better writing, is just in other words, telling us that practice makes perfect. when you want to write, you too must read what others have written,so that others can equally read yours. Having frequently reading what others wrote, will groom you to always come up with what you intend to write. What a great and helpful tips Kari! You know many people (including me) have trouble with reading. Reading is hard for some people and it can take time. But, I believe If you develop good reading skills, it’ll be very helpful to your writing skills. Improve your reading skills by preparing to read: Find something to read (books, newletters and short stories), go to the library and pick up lots of books (choose interstesting and easily read books such as comic books etc), find a place to read where you can concentrate where no one will bother you, schedule a routine time to read at least for the times you have nothing else to do, where you in the waiting room for example. Have a nice try and cheers! I agree! I find that I do my best writing when I am reading a lot of diverse content. Great article. I will share with others. Thanks! i love this article too much… thank you for so much ..
today i joined for article writing. i am article writing beginner. Hemingway is often read by people who want to write simply and directly as he did. Newsweek used to be kind of a gold standard for writers. I don’t know whether it still is. If you are nursing to write 4 books, you must equally be ready to read at least 40 books that are similar with the subjects you are nursing to write. Nothing comes easy, not even death. You must read others works, so that others will read your works. And one good thing about reading, is that: at the time of reading, you won’t know that you are gaining ideas, till when it comes to writing yours, there and then the ideas will start coming on to you, one after the other. Hey Salihu, some valid points in your latest post however, how could I not know that I am gaining ideas as I read? Isn’t gaining ideas the only reason to read or have I missed something? This is really a nice article earlier i have commented on Vocabulary problem, now i knew how to cut a cake. Yeah! i found one another informative post regarding to write a successful content. I am sure Kari will help all the visitors by this post. Wow, great points and excellent comment by David, i am exiting on reading this because i came to know some new word about English and content writing. Please share many post like this. This article is interesting and helpful. Thanks! Great article. Writing is the creativity which comes from heart and knowledge. These 5 tips are core point that every writer should follow. Oh yes, I am not meaning that you won’t know completely, that you gaining idea/ideas, of course, you must know, but what I am trying to say, is the full text of the ideas will come up by the time you in to the full swing of writings. For example, we read very wide towards passing exams,but while reading, you can never remember all that you had read all the times, but by the time you receive the question papers, what you read for long ago, will now be remembered. Hope I am done with. Thanks a lot for such an informative article. Actually this is what I always think of doing, but miss due to lack of time. From now, I will always carry a book with me to utilize my time. Wow great article, best comment from David.